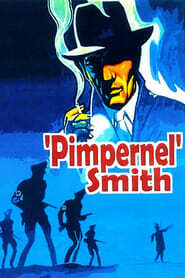 Pimpernel Smith Eccentric Cambridge archaeologist Horatio Smith (Howard) takes a group of British and American archaeology students to pre-war Nazi Germany to help in his excavations. His research is supported by the Nazis, since he professes to be looking for evidence of the Aryan origins of German civilisation. However, he has a secret agenda: to free inmates of the concentration camps.